Tai Chi is more than a set of physical moves. It is a complete mind-body healing routine that has been around for about 2,500 years. It harmonizes your body, emotions, and soul and awakens your inherent energy and finer feelings, so you may lead a productive life full of purpose and compassion. A good Tai Chi teacher should not only teach you the right moves but also inspire you to prepare your mind and body to realize your true potential. 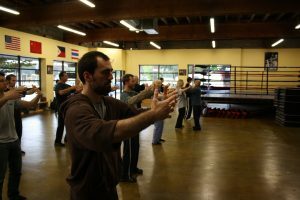 How do I find a good Tai Chi teacher? This question often bothers serious learners. Unfortunately, there is no grading system to help you distinguish a master from a trickster. So you have to rely on your judgment and at times, intuition to find a good Tai Chi teacher. Keep in mind a few pointers. Some Tai Chi instructors teach basic lessons during their apprenticeship stints. While these people can teach you the moves, they may not have the experience necessary to guide you through the internal aspects of the practice—manipulating your qi or vital life energy and aligning your mind, body, and soul. This knowledge comes only after years of practice and training. Ask about a teacher’s certification to judge his skills, and make sure he has not been certified after attending an online course! Many medical professionals like physiotherapists, nurses, occupational therapists, and physicians specializing in Rheumatology attend Tai Chi courses and become certified to teach the art. You may want to be taught by such a professional if you want to manage specific medical conditions. An experienced Tai Chi teacher is keenly attuned to the needs and physical abilities of his students. Some Tai Chi routines can help people suffering from arthritis and chronic back pain manage their symptoms and regain their earlier range of motions. An experienced teacher can customize the exercise routines to help such students progress through the training smoothly. Also ask about the number of years the teacher has been teaching students, and this should NOT count the years he has himself spent training. If you are new to Tai Chi, you do not have to train under a master who has been teaching for more than 8-10 years. You just have to find someone who can teach you the moves and familiarize you with the principles of this Chinese art. But the more the number of years he has been around, the surer you can be about his credentials. Look for teachers who are recommended. It doesn’t take much to make tall claims, but it is tough to sift through them to separate the wheat from the chaff. Recommendations come in handy when you have to choose a Tai Chi teacher. But do not just read the testimonials a teacher may have put up on his website; try to get in touch with his students to find out if they are “real” and learn about their experiences. Certificates help you gauge the skills of a teacher. Recommendations will help you find out if he can make the learning experience fulfilling. 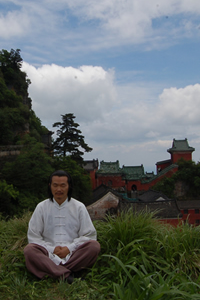 Visit the school of a Tai Chi teacher to talk to him personally and see him in action. Notice how he moves during the routines. The movements should be gentle and flowing and not come in staccato bursts. It should feel like you are watching a graceful dancer performing. Also pay attention to his interactions with the students. Is he lucid? Does he inspire confidence? Do you want to learn under him? Are the vibes right? He should be patient when explaining exercises and concepts. The wise men say a good teacher explains, a superior teacher teaches with examples, but a great teacher inspires. A good Tai Chi teacher not only teaches you the exercises but also instills in you the discipline, determination, and confidence to tap into your hidden reserves of energy and be your own healer. Make sure you choose the right guide.